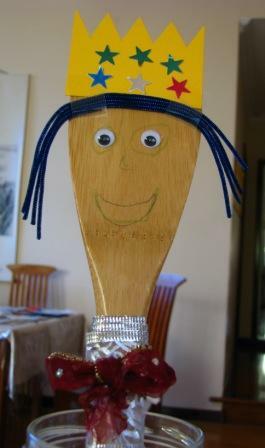 Last year I made Purim puppets which were paper pictures of the main characters stuck onto popsticks. Last week I was walking through my supermarket, not even thinking about Purim, when I saw they were selling 6-piece bamboo spoon sets for three dollars. 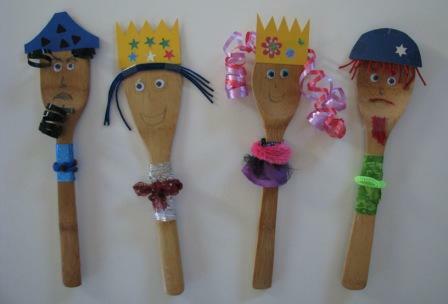 Instantly the idea was hatched, and with a little help from my daughter, we now have some hilariously kitsch Purim spoon puppets to help illustrate our reading of the “Shabbat Tot Megillah” this year. plus sticky tape/glue/double sided tape for attaching hair/moustaches/beards. Here are our heroes (and villain) in more detail. 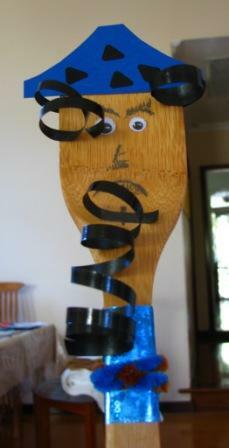 The curling ribbon hair is fabulous – bounce your spoon along and the hair sproings high and low. Sadly there was a minor mishap when my daughter “danced” Queen Esther just a little too vigorously and one of her eyeballs fell off, but we found it a day later and all is well again! 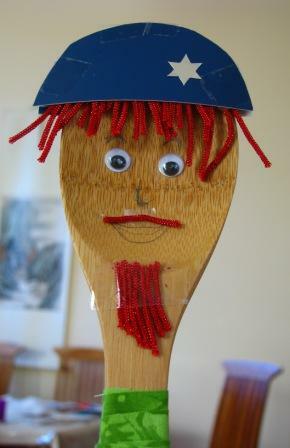 8 Responses to "Purim puppets from wooden spoons"
oh my goodness! Those are CUTE! Please let me know if it’s okay to link to your projects like this in the future. And thanks for the inspiration! Thank you! You are welcome to link to other crafts on my blog, but I would appreciate it if you notify me each time. Hi. They are just so cute. Simply love them! 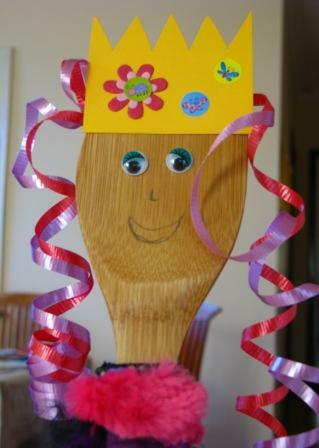 6 | March is Youth Art Month - Here are Some Kids' Craft Ideas!